Some weeks it’s really easy to know what to write about. There’s one thing dominating the headlines that deserves some thoughtful unpacking. Other weeks, increasingly it seems, there are so many it’s hard to even think about them all without losing hope. In the midst of so much tragedy, so many events that outrage and infuriate us, I want us to look for the helpers. My purpose in this is twofold. Also, go listen to “Almost Like Praying” on your iTunes or Spotify or Amazon or wherever you listen to your music. It’s catchy, it’s beautiful, it has Gloria Estefan, and all the proceeds go to hispanicfederation.org. And if you need a smile on your face, check out THIS VIDEO of Stephen Colbert’s #PuberMe challenge to see how much he and Nick Kroll raised for Puerto Rico. Despite all the arguments regarding secondary issues (respecting the flag, the right to protest), the purpose of the protests from the start has been to bring attention to “systemic oppression against people of color, police brutality and the criminal justice system.” (Source.) If you’re still unsure about the protests, this is the best thing I’ve read on the issue, “What You Might Be Missing in the Kneeling Debate” by Ed Uszynski. And if you’re unsure about the issues being protested, we have lots of information on our Resource List page, and Channon and I would be more than happy to answer your questions. The organizations below tackle the very issues that led to the protests, and again, each one has ways to support and get involved. There is so much heartbreak in our world, so much to be outraged about today. If the thing pulling at your heartstrings right now hasn’t been addressed here, and you have little hope or don’t know how to help, let us know, and we’ll do our best to point you in the right direction. 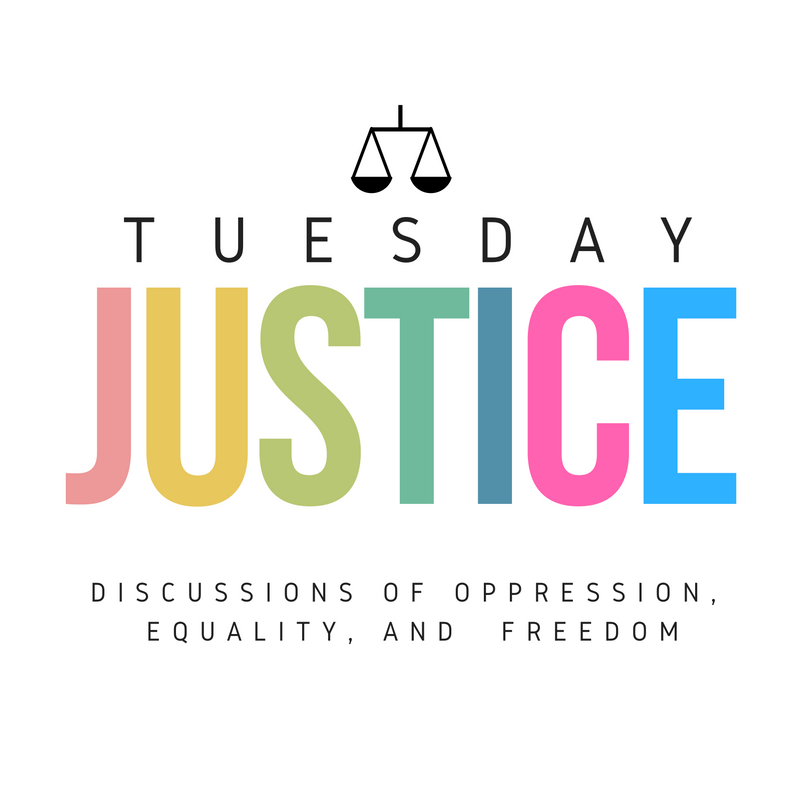 You can email us at tuesdayjusticeblog@gmail.com or message us on Facebook. Whatever you do, don’t give up hope. Let your outrage move you to action.